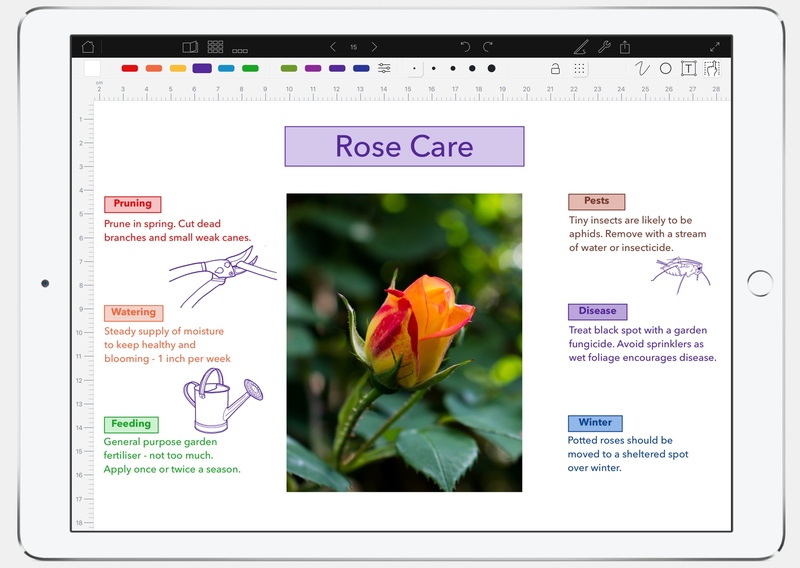 It is finally possible to say goodbye to pen and paper and replace them with your iPad Pro. 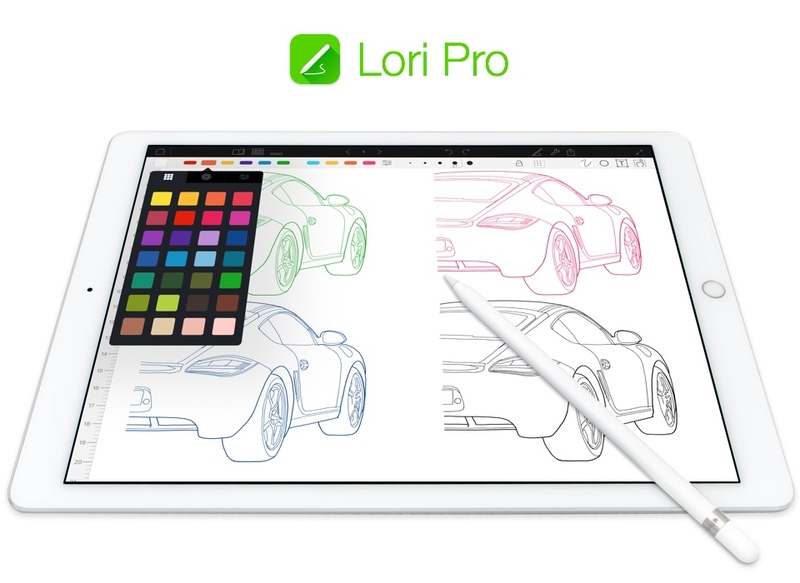 Pressure and tilt sensitivity of the Apple Pencil naturally adjusts line weight as you draw. 3D Touch support allows pressure-sensitive drawing on the iPhone 6s. 11 different pens for writing and illustration. 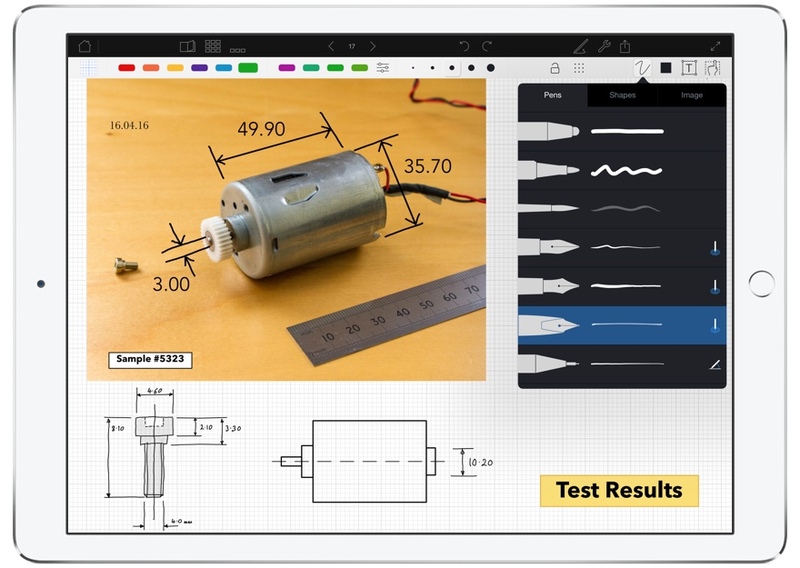 2 tilt sensitive and 5 pressure sensitive pens optimized for Apple Pencil that adjust line width naturally. Palm rejection lets you rest your hand on the screen while using with the Apple Pencil. Optimized drawing technology provides the fastest response with minimum lag. Draw circles, rectangles, lines and arrows with adjustable opacity. Select colors using a color palette, color wheel, RGB and HSV tools. A supplementary palette on the iPad Pro provides complimentary color selections from the color wheel. Cut, Copy, Move and Paste with a selection tool that incorporates both Lasso and Rectangular selection modes. Make a selection of lines and text, then change the color in a single step. 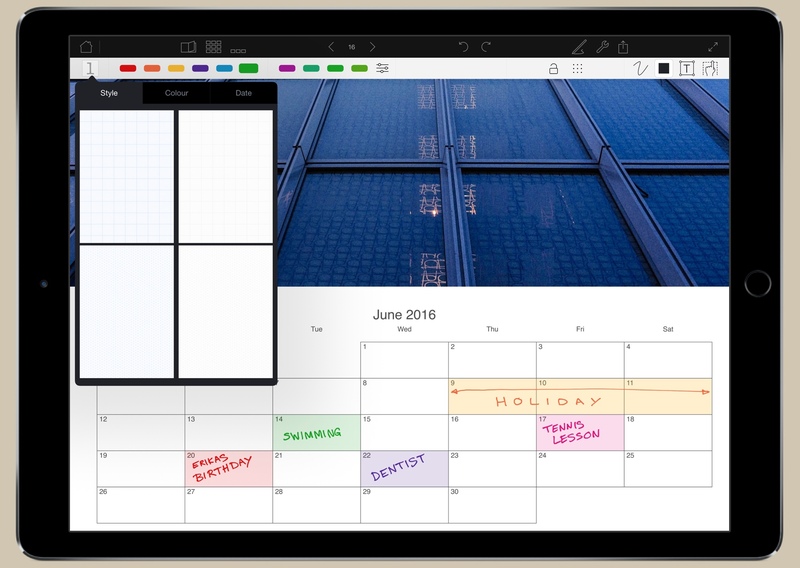 Drawing aids include Snap to grid, Undo, Redo and Full Screen mode. Lock Pages to prevent changes. Add text by creating a text box and adjust font, size, color, alignment and paragraph spacing. Apply preset styles to format the fill color and border. 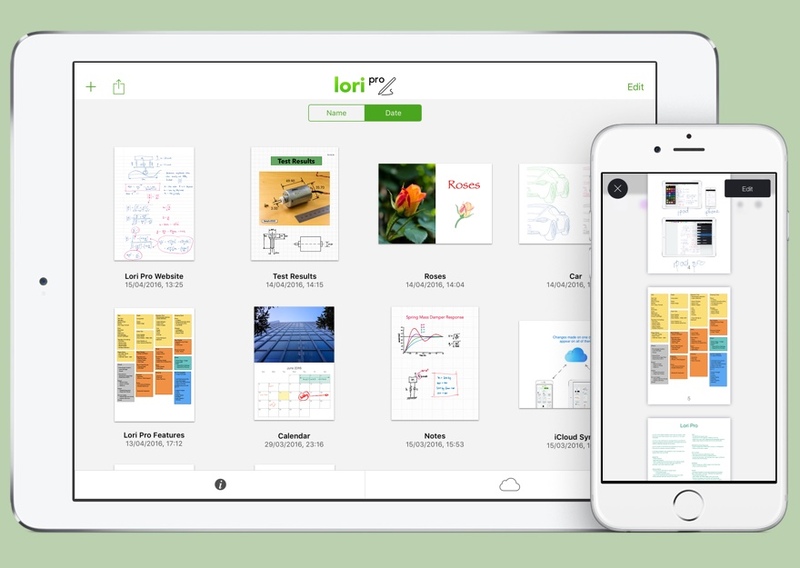 Import images from Photo Roll, Camera, or Pasteboard, then size and position with Multi-Touch. 28 paper styles to choose from including plain, lined, graph, isometric, calendar and logarithmic. Customize the page background color. Draw to scale in inches or cm using A4 and US Letter paper sizes. Rulers appear when you zoom in and can be used to scroll the page in a horizontal or vertical direction. Create US Letter or A4 size books in Portrait or Landscape. Preview and find pages quickly with thumbnails. Add, Delete and Re-order pages within your book. A built in book reader makes it easy to read or present pages full screen. Create and send high quality PDF files by email. Print directly to an AirPrint‐enabled printer. Preview before sending with Print Preview. 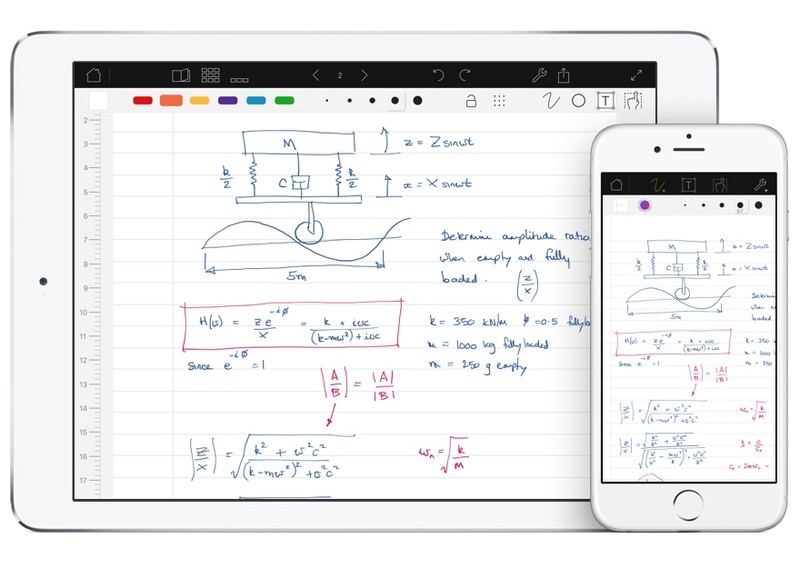 Documents stored in iCloud will synchronize automatically between your iPad and iPhone. Export and backup documents to iCloud Drive and open documents stored in iCloud Drive. Export a page as a JPEG image to the Photo Roll.